Optional: Maximum two rods and reels per person spooled with fresh line. For Spinning I use Berkley’s 12# Nanofill as the main line with 8lb. Trilene 100% fluorocarbon leader. For Baitcasting 12 -14lb. Berkley Trans Optic mono. (2)Lowrance HDS-12″ Touch Gen 3, (1) Lowrance HDS 9″ Touch Gen3, with structure scan and down scan , Optima batteries, Minnkota Ultrex 112lb, 36volt trolling motor, and dual talon anchoring system. Quality Abu Garcia, Pflueger spinning and bait casting reels. Fenwick rods and a wide selection of quality artificial lures. Cooler, ice and bottled drinking water. Mustang Life preservers to size XXL. Do you fish with live bait? No, I specialize in artificial lure fishing only. Artificials offer a special challenge. Fishing with artificial’s is like the “perfect storm”.. It takes the right cast, to the right piece of structure, with the right presentation, with the right action to convince the bass that your offering is something they want to eat…the Reward is HUGE. I believe in Catch, Photo and Release. The Smallmouth Bass fishery has been under attack the past couple years as substitute table fare for walleye. The walleye fishery is rebounding nicely but may take a couple years to where walleye can be safely harvested. The smb have been made the scapegoat AND IS BEING TARGETED for harvest. Its apparent to me that certain areas of the lake are showing signs of over harvest. If a fish cannot be released to fight again then I have no problem keeping a dead fish. Can you suggest a motel? There are many places to stay on Mille Lacs. My customers have had excellent experiences at McQuoid’s Inn and Resort (320 676 3535) in Isle. Also Nitti’s Hunters Point (320 676 3227), Agate Bay Resort (320 684 2233), or Izaty’s Resort (320 532 4574) You will receive a 10% discount at both of these resorts if you mention that your fishing with us. Give ma a call and we can discuss lodging that will fit your budget and needs. Can you handle group or corporate trips? Absolutely, I work with several other top guides and can tailor a trip to fit your particular needs. 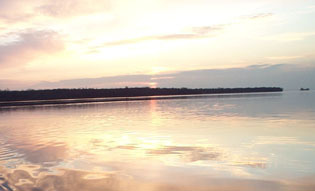 Multi species trips (walleye, smallmouth and musky) are available. Do you guide on any other lakes? 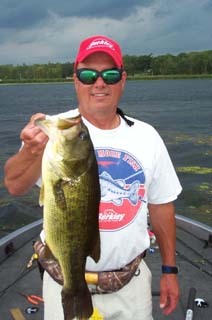 Yes, within an hour’s drive of Mille Lacs there are some 30+ smaller lakes that offer great largemouth bass fishing opportunities. At times when Mille Lacs is unfishable, we will fish the smaller lakes when rescheduling is not possible. Do you guide for any other species? No, my area of specialization is bass, smallmouth and largemouth. 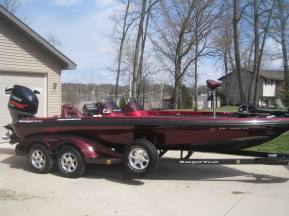 We only provide a bass fishing experience from a bass boat..casting, no trolling. We often catch northern pike, walleye and musky while fishing for smallmouth. I would however, be happy to refer you to top guides that specialize catching toothy critters! Any other questions feel free to contact me either by email or cell phone. I would be more than happy to answer any questions that you might have.